Five Things Friday: Interesting Babygro Ideas | Keeps Me Out Of Mischief! I’ve become slightly obsessed by babygro (onesie) designs. Baby B seemed to live in plan blue or white babygros for the first two months of his life; he was so tiny when he was born that there wasn’t a lot of choice! Here’s my favourite ideas for making a humble white babygro a bit more interesting! 1. 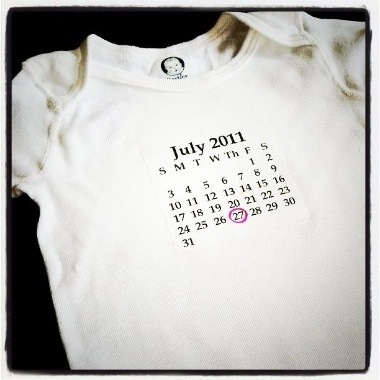 I love this idea for a monthly babygro from Tip Junkie. You could take a photo in the correct babygro each month to create a lovely record of the first year. 2. Baby B will attend his first wedding today and I think this babygro with a tie from The Cottage Home would be perfect for the occasion. 3. Work out the year they’ll leave school (or don’t – it might scare you!) with this idea from La Force Be With You. 4. People keep on asking me how old Baby B is; with this idea from Host-it Notes they’d never have to ask! 5. 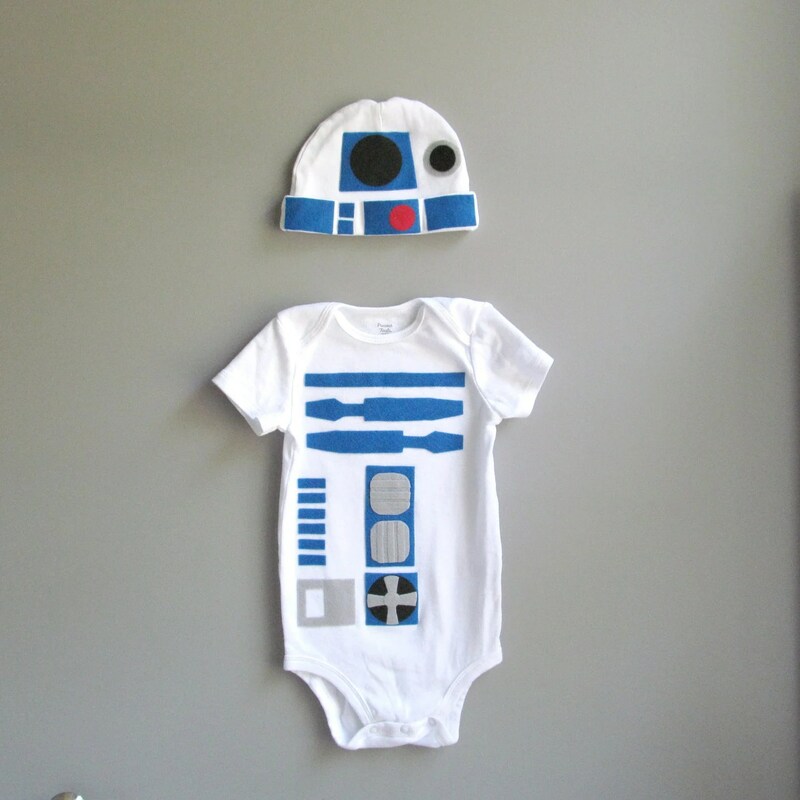 The Wishing Elephant has these R2D2 babygros for sale on Etsy, but it’s inspired me to get creative!